Turtle Paradise will Continue "Junketsu + Kareshi"
Our friends at Turtle Paradise have just announced it and, now, so can we! 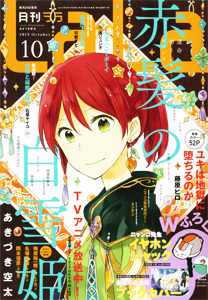 Turtle Paradise will be continuing “Junketsu + Kareshi” from chapter 10 onward. Please head over their website for more details and leave them some messages of encouragement :). I'm glad they decided to do it, because the fans will still be able to read it. Though.. some fans are undeserving.. Hmph. Just saying. I guess it makes sense considering that they're doing the rest of the Shouto Aya catalog. The ladies at TP are quite lovely too. Next Next post: One-Shot: "Twelve o’Clock Bell Rings"